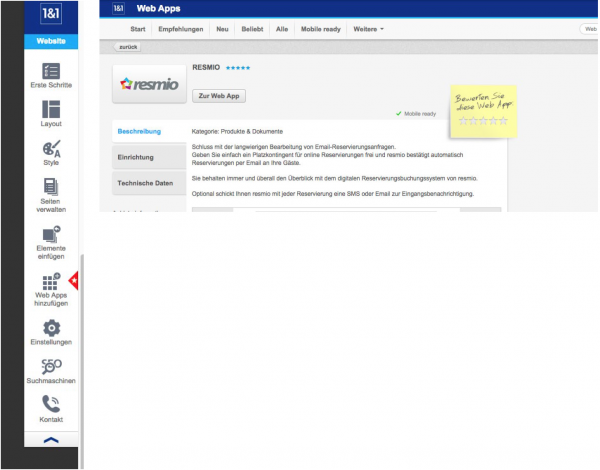 On this page, we give you step by step instruction on how to integrate resmio into your website in just a few minutes. In the side menu, go to install > plugins. Enter “resmio” into the search bar (on the right). The resmio widget will appear. Click on install. Now you just have to activate the resmio widget. To activate, go to plugins > installed plugins in the menu on the left and search the list for resmio button & widget. Click on settings. In the field resmio ID* you have to enter the so-called facility ID. Switch to resmio app. Under settings > integration you will find at the bottom the area partner integration, where you will also find your resmio restaurant ID . Enter this ID into the empty field on your WordPress page . The resmio plugin is activated now. You can use it anywhere on your website. Log into your Wix page. Select the page, into which you want to integrate the resmio widget. In the menu bar on the left, click on add and then (bottom left) on other. Now click on the green element (HTML-Code). Switch to the resmio app and copy the HTML code(reservation widget). Under settings > integration you will find the HTML code. Click on enter HTML code and enter the code in the grey box. Click on apply. Close the HTML code window and move the reservation widget into the desired location. Publish your page thereafter, so that the new settings are applied. The widget is now integrated into your page. Log in to Jimdo and select your page from the dashboard. Click on add content, then on other contents and add-ons and lastly on widget / HTML. Switch to resmio app. Unter settings > integration you can find the HTML code (reservation widget). Copy it in its entirety. Insert code into white box and then click on save. Log into resmio and go to settingsins > integration. Click on the key below Facebook integration. 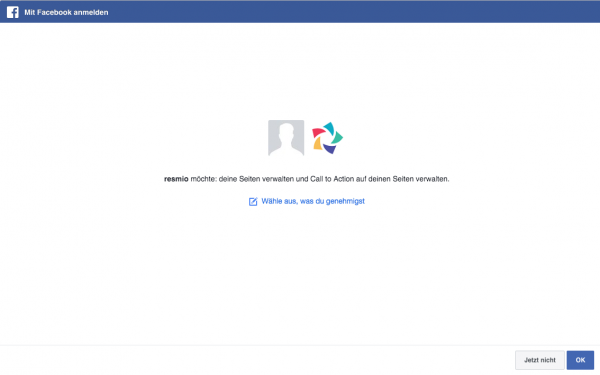 Normally, you are automatically directed to Facebook. 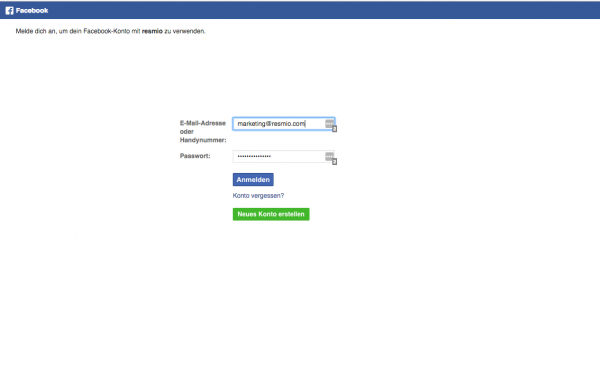 Log in to Facebook with your personal access information. 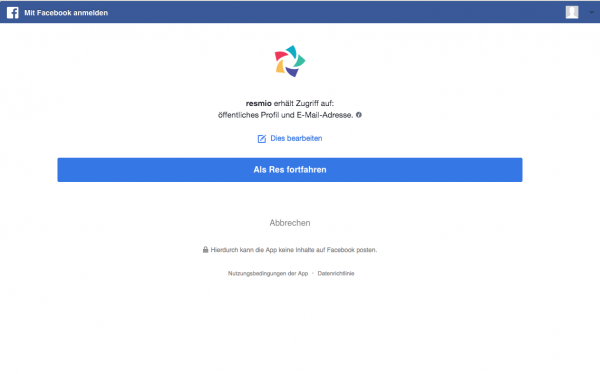 Confirm the access authorization on the profile of the Facebook page. Confirm the integration of the reservation function by resmio. Now you should see the resmio web app again. Click on the green key on the right titled install to complete the integration. In the left menu bar, go to info. Scroll down a little and click on URL for reservations. Switch to resmio app and copy the integration link for Google My Business. You can find it under settings > integration. Insert the link for Google My Business in the row “URL for reservations“. 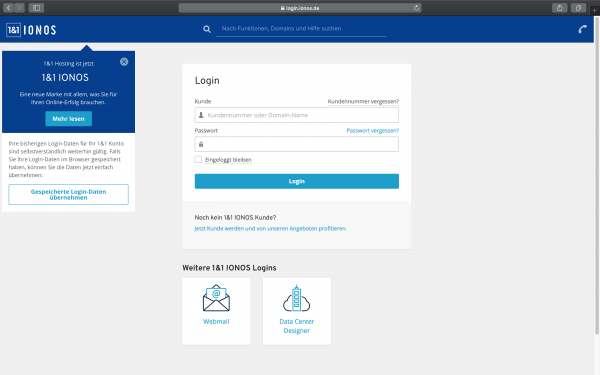 Log in at 1&1 into your MyWebsite or under www.name-of-your-website.de/login into your website. In the main menu, click on add web apps. Search for the resmio web app and then click on add. 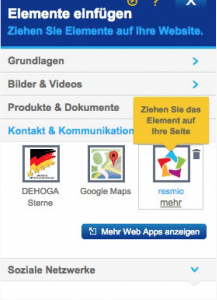 The app can be found in insert elements. Drag the resmio web app into the content area of your website. In your browser, switch to the resmio app (app.resmio.com). Under settings > integration you will find your resmio partner when you scroll all the way down. Copy it, switch back to your 1&1 MyWebsite and insert your partner ID in the appropriate field. You just have to choose if you want to use the resmio widget or the reservation buttton. Then click on save to complete the integration. Log in to your Joomla page. In the top menu bar, go to add-ons and then click on plugins. Scroll down the list and click on Editor-TinyMCE. In the field forbidden elements, delete the entry iframe. Then save the changes you made. Click again on add-ons in the top menu bar and select module. Then click on the green button new in the upper left. Click on User-defined module in the list. 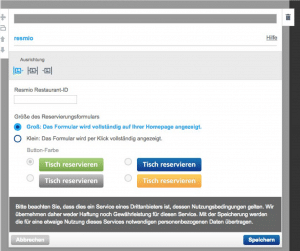 Now you can choose whether you want to use the resmio widget or the reservation button on your website. Switch to resmio app (app.resmio.com) and copy the HTML integration code (reservation widget or button) under settings > integration. Click on the on/off button above the text and then insert the HTML code into the text editor. Save the changes you made. In the control panel, click on posts in the side menu bar. Then select the post into which you want to integrate the widget. Scroll to the bottom of your selected post and then click on module. Now select the resmio widget and save your changes. The integration is now complete.